“I’ve been so lucky to find my voice through singing. I also have family and friends who care about me, listen to me and help me. But I know that for too many children, Childline is the only place they can turn to. 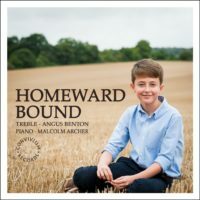 Convivium Records work with many young artists and were delighted by Angus Benton’s proposal to use his solo recording to help children in need. We have committed to giving 10% of proceeds from CD sales of Angus Benton’s album to the NSPCC over the first year of sales with a minimum commited donation of £250 to assist with its valuable work. 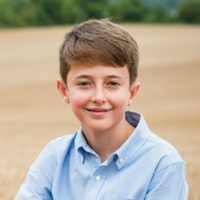 Angus Benton, aged 12 at the time of this 2016 recording, was one of the sixteen Quiristers who formed the treble line in the Chapel Choir of Winchester College. He has been singing since he was very young and was a member of the choir at St. Luke’s church in Battersea and of the National Children’s Choir of Great Britain before becoming a Quirister at the age of 9. Angus won the BBC Radio 2 Young Choristers of the Year Competition in 2015 and has since appeared several times on BBC1’s Songs of Praise. He has also performed regularly on radio in Radio 4’s Daily Service and in Radio 2’s devotional Easter programme At the Foot of the Cross.